From the first look of Cool 1 at the coolpad recognized coolpad forum, the phone bears a stunning metal unibody design that comes in Gold and Silver color variants. Cool 1 is packed with an inbuilt storage of 32 GB and sports a 4000mAh battery stitched to its rear panel. On the front, a conventional 5.5 inch FHD with 1080x1920 pixels is placed. 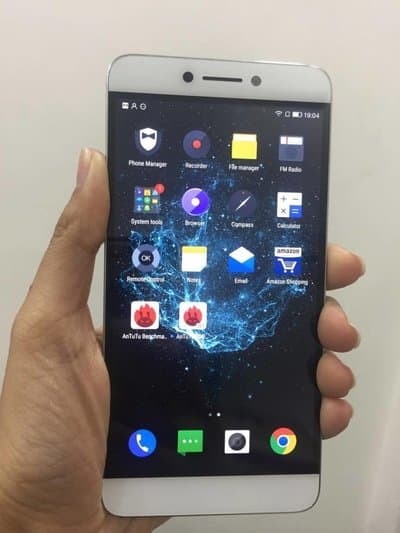 Jumping to its system software, the main frame runs on Android 6.0 Marshmallow that flaunts LeEco's EUI 5.8 overlay. Shifting our focus to its camera, the phone boasts of a 13 MP dual camera setup backed by dual tone LED flash and f/2.0 aperture, charged with one monochrome and color sensor. Spinning off the device one can easily find 8MP front-facing camera coupled with a f/2.2 aperture and 80-degree wide angle lens, ideally given to support low light photography in smartphones. Powered by, a 64-bit octa-core Qualcomm Snapdragon 652 SoC where four A72 cores, set at 1.8GHz and other four, A53 cores clocked at 1.4GHz the phone promises to maintain a lag-free environment with 3GB/4GB LPDDR3 RAM and Adreno 510 GPU. The Cool 1 bears a dual nano-SIM dock. Talking about its connectivity, the phone features the latest 4G with VoLTE, standard 802.11 ac Wi-Fi, Bluetooth, GPS and USB Type-C. With all these features, the phone is marked with a decent price tag of Rs. 13999.